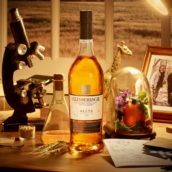 I’ll do a post about the Special Releases tasting very soon, but first I have to tell you about our Glenmorangie Signet event at TWE Vinopolis last Monday (20th October). We were doubly blessed as this was our second visit from Glenmorangie plc in consecutive weeks after the Ardbeg tasting the previous Monday. 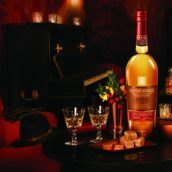 Glenmorangie Original: I’ve had this before and really enjoyed it. Gingery, marmalade-esque nose, with a hint of white chocolate when water is added; then a more citrussy palate, turning biscuity, good depth and balance, long warming finish. I’m a huge fan of this, to my mind it’s miles better than the old 10yo. 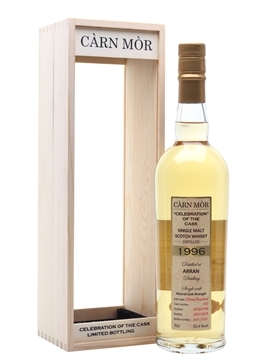 Astar: An epic dram showing natural caramel, spices, cooked banana, cointreau and hints of smoke and burnt toast. Very assertive on the palate with a burst of fiery chillis – I much prefer it mellowed with a few drops of water, when it really opens up and starts singing (not literally). Quinta Ruban: Annabel professed to really enjoying this, but I just can’t get along with it at all. The nose shows toffee and honeycomb alongside prominent winey notes, but for me the palate is spirity and one-dimensional. Improves with water, but just too grapey for me. Nectar d’Or: Again, quite winey on the nose. Also some honey-glazed chicken, butterscotch, creme brulee and baked apple. This has been widely asserted to be the best of the new wine-finished expressions, and I would have to concur with that view – but that’s mainly because I really dislike the Lasanta and Quinta Ruban. I think I just don’t like wine-finished whisky – while some of them, like this one, are perfectly good drams, I can’t think of one that I’ve ever really enjoyed. 15yo Sauternes Finish: A very interesting contrast to the Nectar d’Or – much heavier and richer. Regrettably, Neil from caskstrength.net nailed it when he pointed out that it smelled exactly like tuna oil. Spot on, although there were also some aromas of burnt toast, burnt wine and almonds. Unfortunately after I had the tuna oil pointed out to me I couldn’t get it out of my head. Interestingly, going back to the Nectar d’Or after the 15yo I found that it now smelled much more like an actual glass of Sauternes. Certainly the Nectar d’Or was the better whisky. Signet: I’m not sure if it’s the power of suggestion at work here (what with Glenmorangie being stablemates with the likes of Givenchy & Christian Dior and all), but on first nosing this really smells like aftershave! Very tweedy – should I drink it or wear it? Opens into pepper, dry leaves, and you can really taste the heavily-toasted chocolate malt alongside big sherried richness. Very toasty indeed. 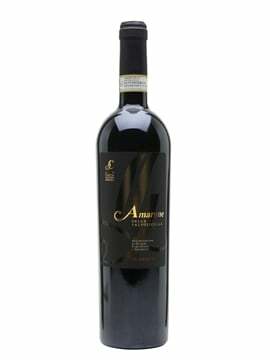 Becomes cognac-esque with plum, damson and tobacco on the palate. Some smoke in the background, and the sherry influence is big and weighty, with loads of raisins, ginger and fruitcake. 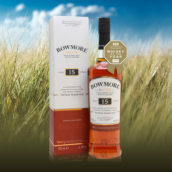 A rich, sweet, dense, unctuous and luxurious whisky. 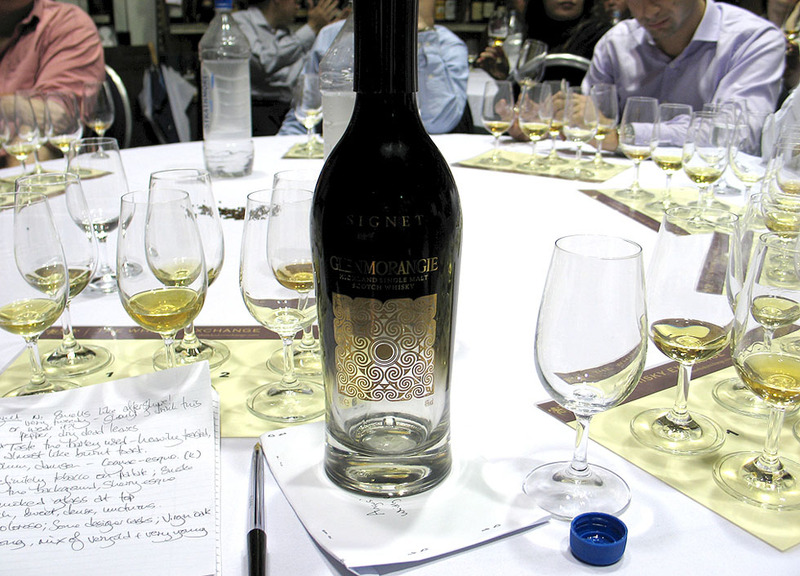 Signet is a very interesting creation, being comprised of some very old malt (over thirty yo) for weight and complexity, blended with other, much younger whisky for structure and vibrancy. 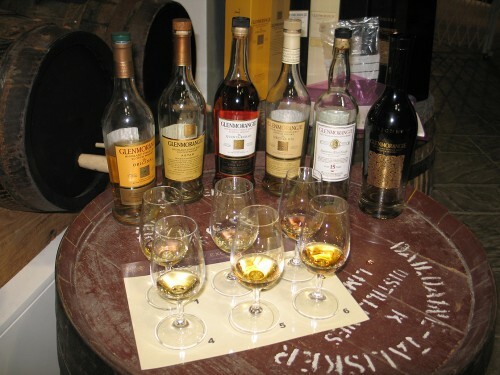 As well as blending different ages, there is also a mix of casks, with some of the whisky having been matured in ex-oloroso (quite a large proportion judging by the taste of the finished product); some ‘designer’ casks (a la Astar); and, perhaps most interestingly, some virgin oak casks as well. It’s no wonder that there’s so much going on in there! A word on the packaging though: ‘Hmmm’ (OK, I’m not sure if ‘Hmmm’ actually is a word, but I use it quite a lot and it’s appropriate here). I would love to know exactly how much of the £110 retail price of this bottle went into the cunning smoked bottle (it gets darker at the top), the curly-wurly insert in the ‘museum plinth’ box and the quite extraordinary capsule. 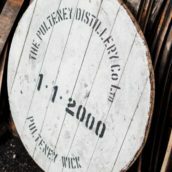 But these are minor quibbles – it is a very very nice whisky, so perhaps it deserves a bit of pizzazz. 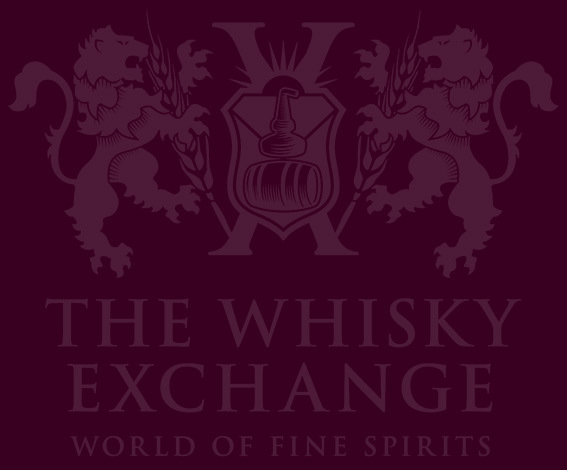 All in all, then, another great tasting night at TWE Vinopolis – our thanks again to Annabel Meikle and the team at Glenmorangie for indulging us with two terrific events in the space of a week. Kudos also, as always, to Matt, Duncan, Chris and Alex at the TWE shop for organising everything and generally hanging around being helpful and knowledgeable! 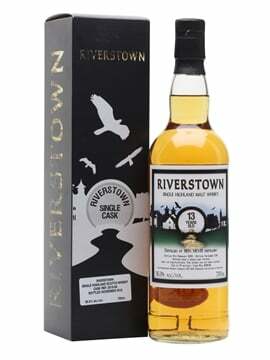 I tasted this at Whisky Live in Glasgow and it is delicious. Shame about the price tag, though.